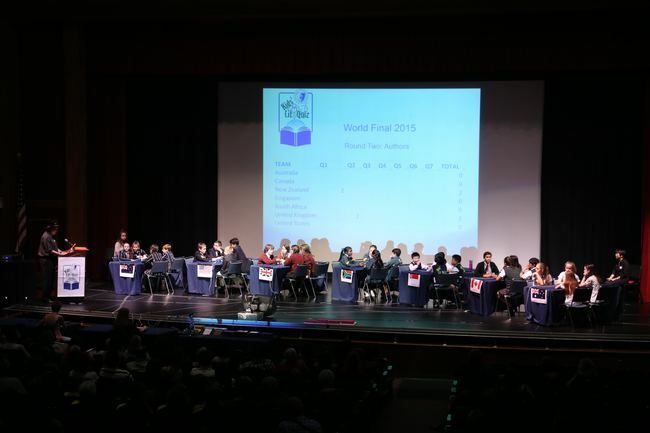 Each year, the winning teams of the national competitions are invited to compete in the Kids' Lit Quiz World Final. The 2019 World Final will be held at School of the Arts Concert Hall, 1 Zubir Said Drive, Singapore 227968 on 12th July 2019 at 18:30. A selection of photos from previous World Finals can be found on our Photo & Video Galleries page.